The abrasion-resistant reinforcements on the knee, seat and inner leg areas ensure that the pants keep up on every adventure. The waistband can be internally adjusted and the anti-slip hem ensures the best possible fit. The ''grow together function'' is also incredibly practical, as it allows you to fit the pants to your child as he or she grows. It reflective elements are also incredibly practical. They ensure higher visibility by traffic in twilight and darkness. 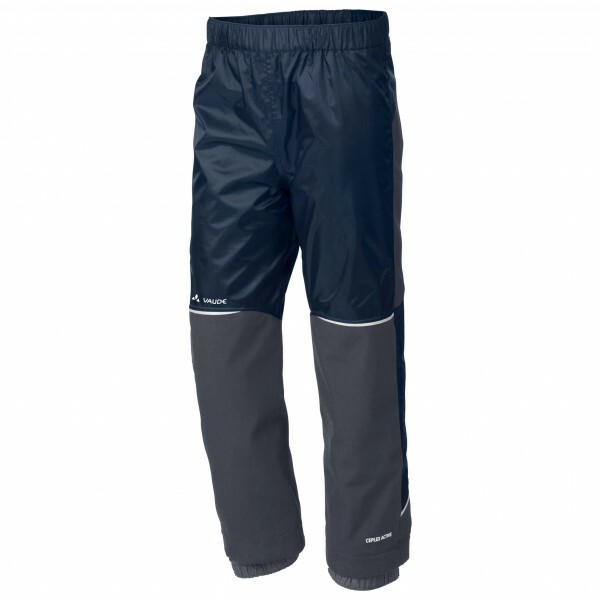 This makes the Kids Escape Pants V by Vaude the perfect partner for almost every outdoor adventure.